Swiss Live Talents 2015: register now! You are a swiss band (or a solo artist), you play live and would like to have more concert dates and visibility? Register now for the Swiss Live Talents 2015! Plenty of opportunities are awaiting you! What are the Swiss Live Talents… ? It’s a contest that takes place evey two years in Bern, at the Bierhübeli venue. The first edition took place in November 2013. A national springboard whose aim is to help Swiss artists that play live. Everyone gets visibility (compilations, hoodies, …). The winners of the categories not only receive money, but also some support during the two years that follow the award ceremony and get the chance to play in Switzerland as well as abroad (France, UK, USA, Serbia… !). A concrete example? Rootwords, Best Urban Act 2013, recently performed during a whole week in New York! Ready to set venues on fire? 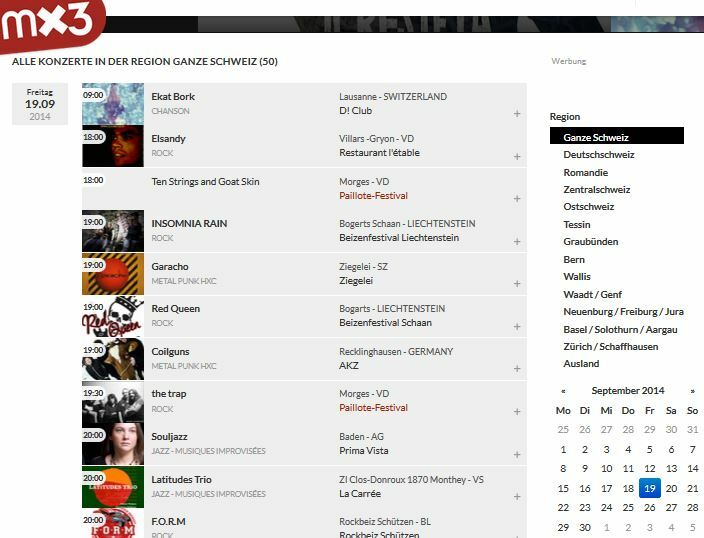 and even more on mx3.ch/concerts !!! Cauliflower, Al Pride, Antipods, Colibri, BUMshankar, Make Plain… come to Lausanne folks! 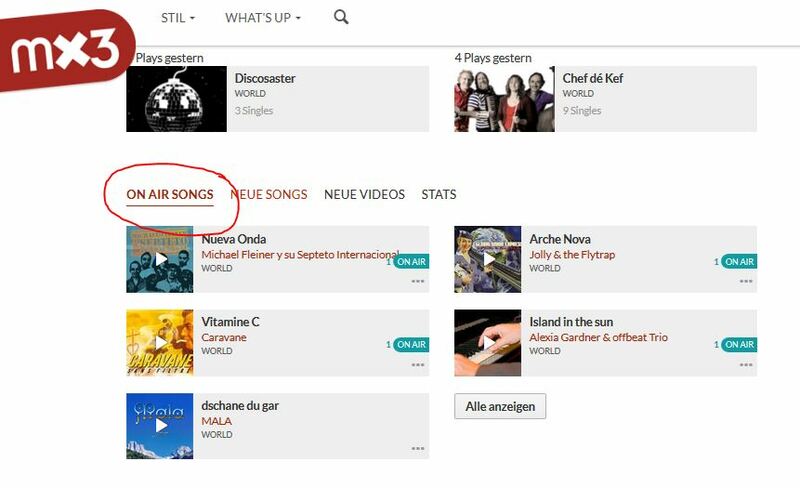 What about discovering cool songs? This leads you to the to the ”singles” page of the selected genre (e.g. 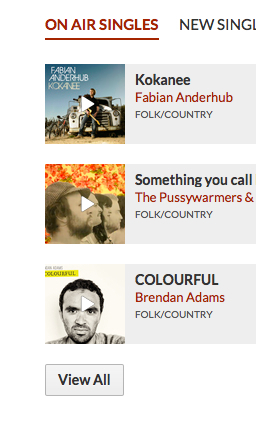 Folk-Country singles). Then click on the “Free Download” button. New Mx3-functions: Browse the new uploads and On Airs of each style! Are you enjoying your evening, folks? 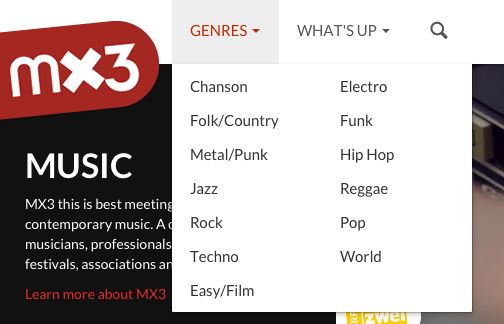 There are so many new options on Mx3.ch! You can now browse the different ON AIRs/New Songs/New Videos and Stats of each music style! Have you seen the newsticker? It’s now located on the right on our new designed Mx3.ch. 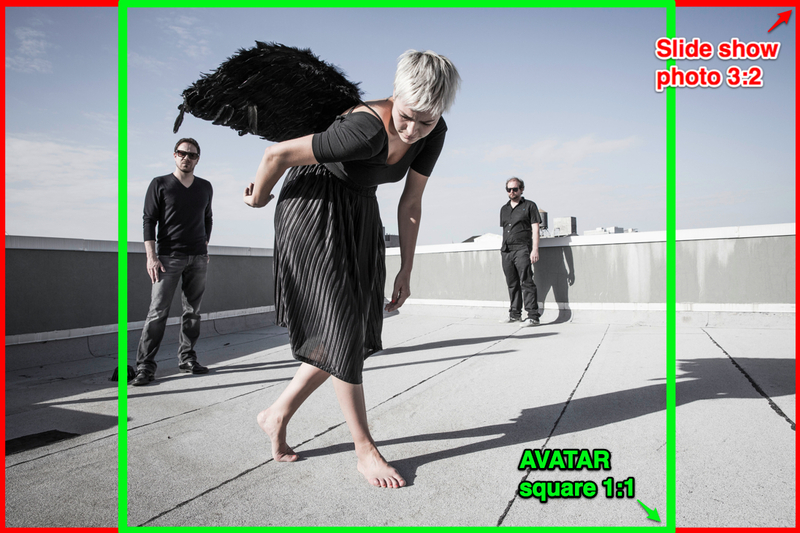 If you want your visuals to be as impressive as possible on your page as well as in the slide shows: THE BEST is a 3:2 horizontal picture* whose transformation into a square format (for your automatically generated avatar pic) works as well. See the picture below for an explanation. This way, you’ll look perfect on the new platform Thank you Natasha Waters & Kaltehand, it’s great!